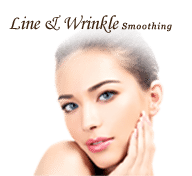 With aging, our face begin to lose collagen, elastin and subcutaneous fat, and progressive changes are noticed in the form of sagging facial features and loss of volume which over time lead to the formation of lines, wrinkles and folds. The loss of volume also results in areas of flatness and seemingly sunken areas that contribute to an overall tired and aged look. However, we don’t age in only one part of our face, so the traditional methods of using dermal fillers in only one area will never entirely produce the ideal cosmetic rejuvenation results that women and men really need as they age. Ideal cosmetic anti-aging treatments seek to address the face as a whole, employing the balance and symmetry of its individual parts to produce an overall natural and youthful appearance. They can be considered to be a more holistic approach to facial rejuvenation. The 8-Point Facelift is such a total treatment solution considering the face as a whole and how it ages rather than simply looking at an individual part of it and trying to hunt down lines. It has been determined that the first signs of aging are typically seen in eight key areas situated beneath the eyes, within the cheeks, around the jaw and within the folds of the nose and lips. Dermal fillers are used to restore volume in these key areas. They contain Hyaluronic Acid which is a naturally occurring component in the skin, attracting and retaining water to provide hydration, structure and volume. 1 & 2. Cheeks – The youthful volume and definition in cheeks progressively disappears over time. 3. Tear troughs – Reduction of volume in the tear trough area leads to the formation of a hollow depression, resulting in a tired appearance. 4. Naso-labial folds – These are lines that appear which run from the corner of the nose to the mouth, gradually deepening as the soft tissue of the face reduces. 5. Mouth frown – The corners of the lips start to turn down, becoming more pronounced. 6. Pre-jowl area – The downward displacement of the face’s soft tissue volume due to loss of collagen and elastin gradually leads to the appearance of Jowls, giving the face a heavy look. 7. Jawline – The jawline is a smooth line extending from the jaw to the chin which loses its definition over time. 8. Cheek volume – The reduction in volume of the mid-face area can make the cheeks appear to be hollow. 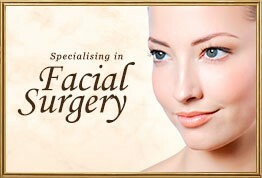 The only method previously available to address the above concerns used to be a surgical face lift. However, recent advances involving the use of high quality dermal fillers, such as Restylane and Juvéderm, to restore facial volume using advanced precision techniques facilitate a more comprehensive overall rejuvenation. This procedure is the non-surgical 8 Point Facelift, also reffered to as the 8 Point Approach or Liquid Face Lift. In the 8 Point Facelift the eight disctinct areas of facial aging are identified and treated, thereby enhancing the natural beauty of the facial features where the skin’s underlying youthful soft tissue has been lost. Replacing the lost volume from these 8 locations facilitates the creation of a rejuvenated and refreshed appearance. The 8 Point Facelift procedure, including consultation time, takes approximately 45 to 60 minutes. 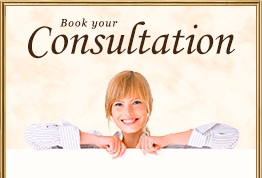 The consultation is very thorough and includes a full examination of the face, including a detailed discussion of the areas of concern and preparation for the treatment. As with all injectable filler procedures, a little discomfort is inevitable, however a topical anaesthetic will be applied so as to keep this to the absolute minimum. 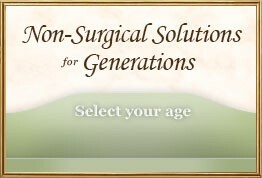 After the procedure there is little or no recovery or downtime. The methods employed by Mr Rezai also result in very little or no bruising. The majority of patients can return to work and leisure activities the following day. Any minor bruising can be camouflaged with makeup. For the first 24 hours following the treatment, strenuous exercise, excessive sun and heat exposure should be avoided. So as to minimise the risks of temporary redness, swelling, and/or itching around the treated areas, the consumption of alcoholic drinks should similarly be avoided. 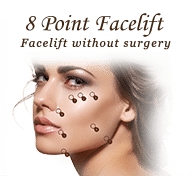 How long do the results of the 8 Point Face Lift last? An immediate improvement will typically be seen, however the full benefits will only become visible after 1 to 2 weeks. The results typically continue their improvement over a period of 2 to 3 months as the filler gradually settles. The result can be expected to last from between 9 to 18 months. However this can vary significantly from one patient to another. To further enhance the rejuvenating effect of the 8 Point Facelift and to maintain and prolong its results, the procedure can safely and effectively be combined with Line & Wrinkle Smoothing (BOTOX) and PRP Skin Rejuvenation (Vampire Face Lift).